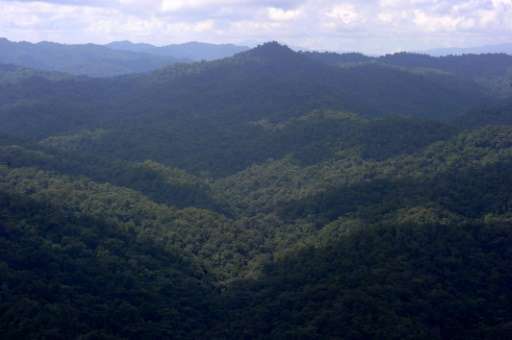 Honduras said Thursday it was starting a major archeological dig for a mysterious, ancient "White City" supposedly hidden in jungle in its northeast that explorers and legends have spoken of for centuries. "Today a group of archeologists and scientists is traveling to the White City to start excavations in coming days," President Juan Orlando Hernandez said in a speech to private universities. The hope is that they will uncover incontrovertible proof of the existence of the fabled site, which has also been called "the City of the Monkey God" and, in Spanish, "la Ciudad Blanca." According to 16th-century Spanish conquistadors and to legend, the settlement, dating back thousands of years, is meant to be filled with fabulous riches. Explorers over the past century have claimed several times to have spotted the White City in the thick jungle inside the Rio Platano Biosphere Reserve on Honduras' Caribbean coast. Archeologists in recent decades found what looked like ancient mounds. Then in 2012 an American documentary team using mapping technology in a small plane discovered what appeared to be the overgrown remains of an ancient civilization. National Geographic magazine reported last October that some carved stone artefacts had been found at the site. The new expedition by Honduras intends to confirm the find by digging down to discover what lies under the soil.